Top national auto insurers on Friday appeared to passive-aggressively challenge collision repairers’ request to reinstate five lawsuits following a court deadline missed because of technical issues. The appellant shops in Missouri, New Jersey, Virginia and Kentucky were among the repairers nationwide who’d sued insurers in 2014-15 alleging steering and antitrust violations but seen their cases dismissed by the Florida District judge hearing all the litigation. 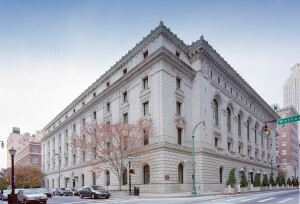 Campbell v. State Farm (Kentucky), Lee Pappas v. State Farm (Virginia), Quality Auto Painting v. State Farm and Ultimate v. State Farm (New Jersey) and Concord v. State Farm (Missouri) filed a single consolidated appeals brief Feb. 9 asking the Eleventh Circuit Appeals Court to clear up what attorneys called the murky status of just how specific any federal lawsuit had to be. They also asked for the chance to offer an oral argument before the appeals court. However, the Feb. 9 brief was filed 90 minutes after the 11:59 p.m. Feb. 8 deadline, according to the Jackson, Miss.-based Eaves Law Firm. “It was just a miscalculation of time,” Eaves attorney John Eaves Jr. said in a Feb. 24 interview. Eaves attorney Allison Fry asked the court Feb. 25 to restore the case and explained that technical issues caused the filing process to take longer than anticipated. A Fry paralegal who apparently was involved in the late submission provided an affidavit that “a number of computer issues and glitches have developed” following her conversion to Windows 10. 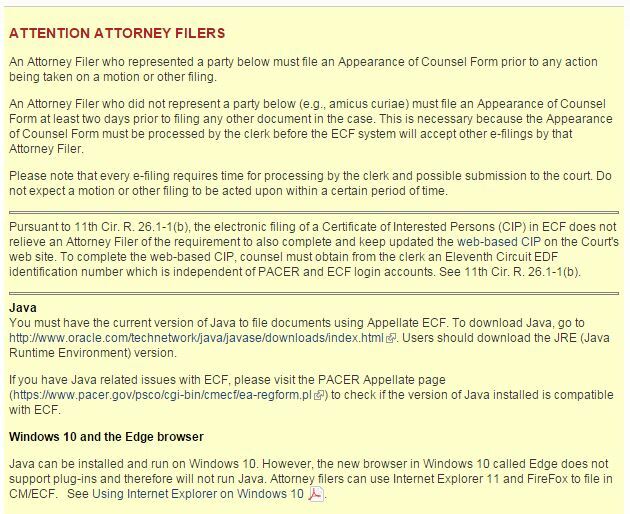 Chrome browser issues — potentially tied to Java — prevent her from using the e-filing option on the Eleventh Circuit website, according to the paralegal. Internet Explorer poses the same problem, she wrote. Fry explained that both browsers ceased Java support, and alternatives are not always guaranteed to work without the user authorizing Java — or even after that. 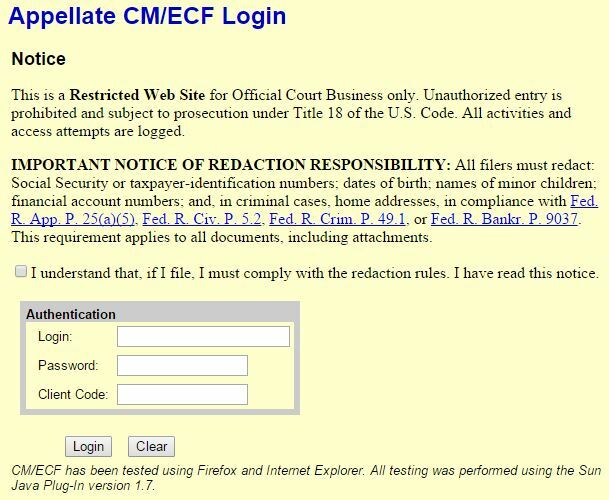 “As Java does not always block access, there is no single browser which always works to open the ECF system and no way to determine in advance which browser will successfully interface with the ECF system, ” Fry wrote on behalf of Eaves Law Firm. As the missed deadline didn’t cause any prejudice, it should be restored, Fry wrote. The Eleventh Circuit allows such reinstatement to happen if a petitioner has fixed the problem and has a good excuse, according to Eaves Law Firm. Attorneys for State Farm, GEICO, Allstate, Progressive and other major national insurers sued by shops wrote in a response Friday they wouldn’t take a position on the motion to reinstate the case. But “for the benefit of the Court,” they observed that the court’s website educates lawyers on the Java issue and how to compensate for the complications described by the firm. “Appellees believe that the Eleventh Circuit’s instructions provide adequate guidance on how to address these issues,” the insurers’ attorneys wrote. If the Eleventh Circuit kept the case, the insurers requested that they be given at least 30 days to respond to the appeal. The Eleventh Circuit hasn’t yet ruled on the reinstatement of the case, as well as an appendix which also appears to have been filed a day late. While she obviously couldn’t speak to the specific case, Eleventh Circuit acting Clerk Amy Nerenberg said Monday “we typically don’t make a big deal” out of a late appendix if the court restores a late brief.